Nicole and her husband Brad have arranged a house swap for the summer while Brad is working in London. Brad did not want Nicole to go with him on this trip, but she convinces him to allow her to accompany him to London. She has a list of all the things she wants to do when she arrives in London and Brad is at work. That doesn’t happen. First, the London couple never arrive at Nicole and Brad’s house in LA, someone breaks into the home where they are staying, and Nicole is threatened by two thugs in a local museum. The trouble does not stop there. The police aren’t very helpful and neither is Brad who seems distracted by work so Nicole is left to work out what is happening herself. her and making threats, demanding information she doesn’t have. Nicole realizes she’s in serious trouble. But she can’t get Brad—busy working—or the police to believe her. Somehow, it’s up to her to extricate herself from the mess the Lowrys have left behind. 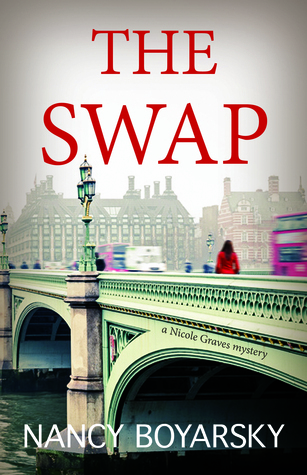 About the Author: The Swap is Nancy Boyarsky’s debut novel and the first of the Nicole Graves Mystery series. Her second and third novels in the series, The Bequest and Liar Liar, are also available online and in bookstores. Nancy’s books have been compared to Mary Higgins Clark and are praised for contributing to the “women-driven mystery field with panache” (Foreword Reviews) as well as for their “hold-onto-the-bar roller coaster” plots (RT Book Reviews). About the Narrator: Jane is a professional actress and audiobook narrator and can be heard on numerous Audible books. 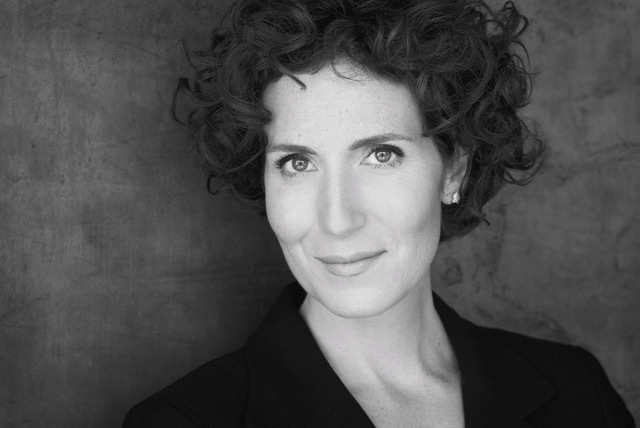 She holds a BFA in Theater from Carnegie-Mellon and has worked on stage in New York, Chicago and Los Angeles. Her voice-over work can be heard on commercials as well as corporate campaigns and short documentaries. Ms. Oppenheimer is equipped with a state-of-the -art home recording studio featuring a Neumann TLM103 mic and RME interface. Jane also narrates under the name of Kathryn Clark. I have to start with audible subscription soon.. Lovely review Carla.. I am lucky that I have access to so many audible books through the two local library systems that I don’t need an audible subscription yet. Thanks Carol. I was able to find all three books in this series on hoopla, so hope to listen to them all in the next few weeks. An action packed mystery. This sounds FASCINATING!!! I think I’d love it! I was thinking that I never meet any of those really handsome cops that are always popping up in books, but maybe that’s because they are undercover! Good review. I love it when you share your niggles. They always help explain when something has a little lower rating than you usually give. Then I can decide for myself based on real information. Then I have done a good job. I do hope everyone can read my reviews and then make their own decisions. I love the word “niggles”, I stole that from Shalini, one of the wonderful bloggers I follow. Another series I haven’t heard of. Sounds interesting, but I also get frustrated with characters who seem to lack common sense. How are you supposed to buy into their prowess as an investigator or trust their instincts if their instincts don’t point them in the right direction? I am happy to say, she gets much better in the second and third book.